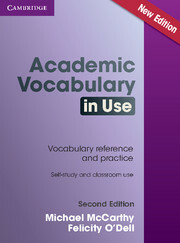 Academic Vocabulary in Use Second Edition is the perfect study aid for anyone using English for their academic work. Ideal for students of any discipline, this second edition has been updated to reflect changes in education, technology and communications, includes a selection of new reading passages, and is now in full colour. 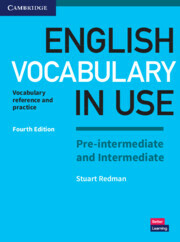 50 easy-to-use, two-page units give clear explanations of new vocabulary, along with a variety of practice exercises. A comprehensive answer key, and phonemic transcriptions to help with pronunciation, make it perfect for self-study as well as for use in the classroom. This book is designed for students at good intermediate level and above, and is also useful for those preparing for IELTS and university entrance examinations. The words you need to communicate with confidence.